WLS, trumpet; Anthony Davis, piano; John Lindberg, bass; Pheeroan akLaff, drums; Susie Ibarra, drums. Not only is this one of our favorites of the year, but it’s one of the few jazz albums whose release can genuinely be termed an event. 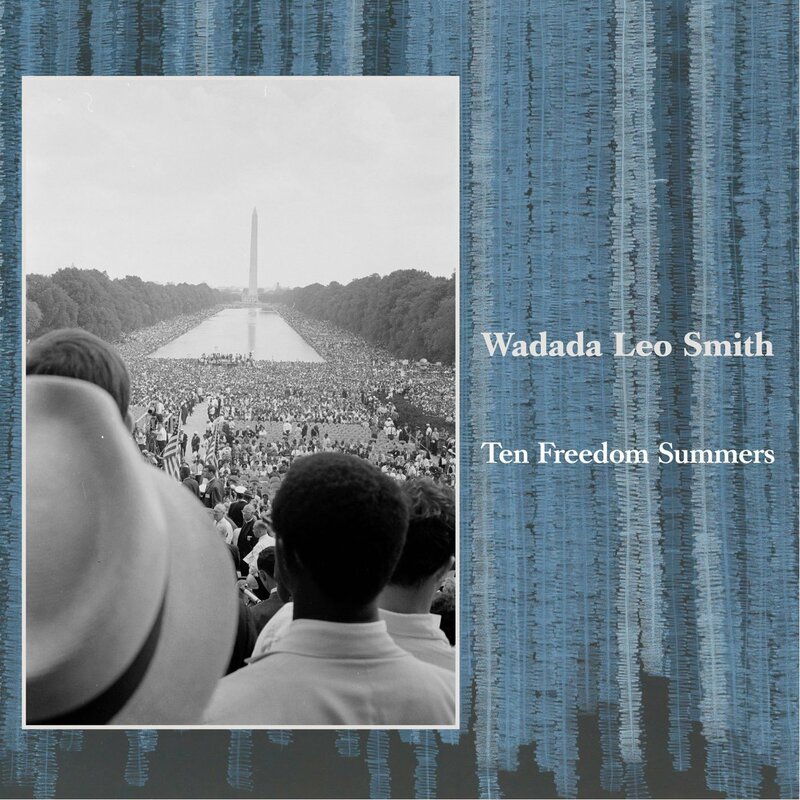 The culmination of 30 years effort, Ten Freedom Summers is one of the defining works of Smith’s career. Each of the four discs is packed with over 70 minutes of new music, each track an abstract evocation of a moment within the Civil Rights struggle. You only have to check the track credits above to see that he’s assembled one of his best Golden Quintets – who alternate and combine on some tracks with the Southwest Chamber Music ensemble. Throughout, the music ripples with dramatic melodies, tender textures, stirring rhythms, and empathic and riveting interplay. This isn’t some musty historical song cycle, but vital and surprising music that’s built on immediacy and potent ambiguity. Our thanks to the fine folks at Cuneiform Records for providing this prize — and for letting us share an exclusive excerpt from the album. 2) We’re thinking of a number between 1 and 200. Put your guess in a comment to this post, along with your song choice. One guess only and please try not to duplicate other selections; check through the comments before entering. Contest deadline: Midnight EST, Wednesday, July 18th. The person who nails our number — or comes closest — wins. Good luck!